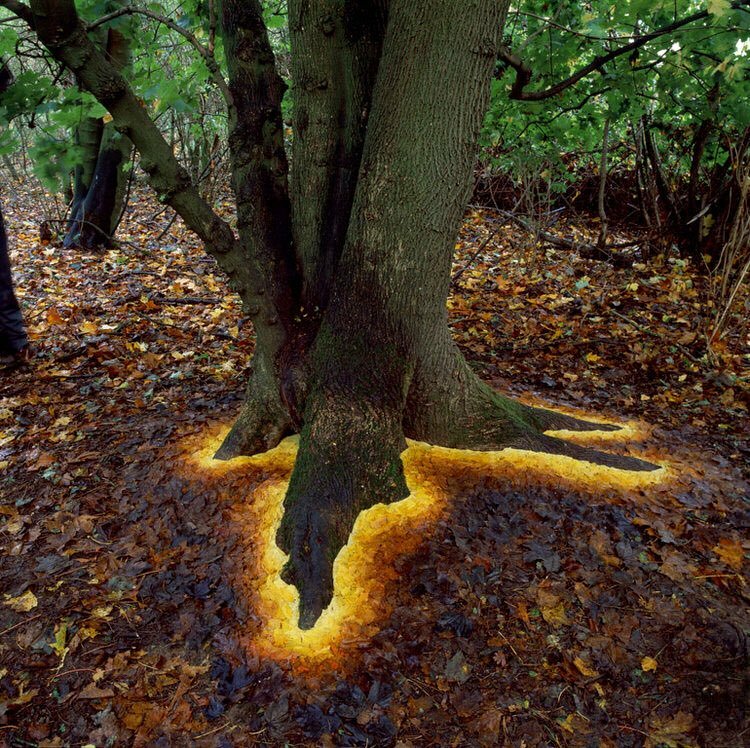 Andy Goldsworthy creates effects by arranging nature. In this case, it’s a set of leaves around the base of a tree. There’s an online archive of his early work, and plenty of other sites, such as Melt, but it seems that the artist, wisely, does not bother with a website. DNA Replicates, Filmed at 11.